Product prices and availability are accurate as of 2019-04-17 00:03:27 EDT and are subject to change. Any price and availability information displayed on http://www.amazon.com/ at the time of purchase will apply to the purchase of this product. 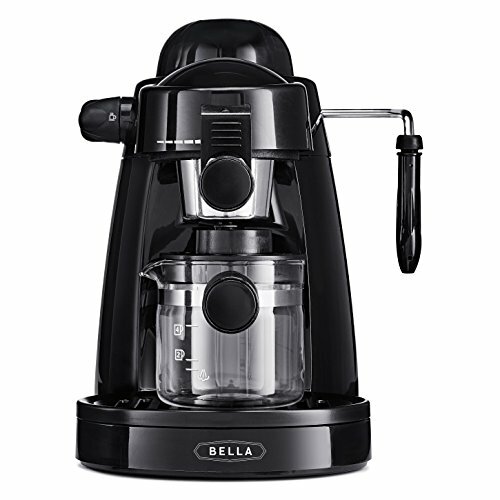 Constant 5 bars of pressure and easy user operation delivers a truly bold and piping serving of espresso in just seconds. Brews 1-4 cups of espresso. 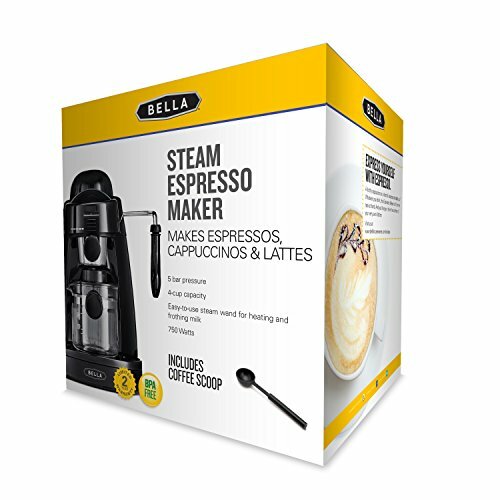 Built-in steam wand gives you the option to froth and steam milk so you can prepare your very own cappuccinos, lattes and macchiatos from your own home (frothing cup not included). 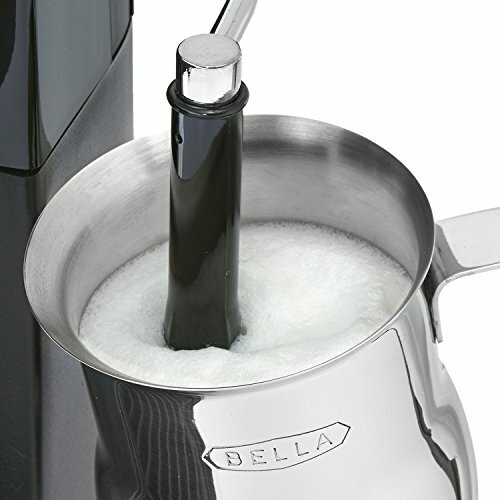 Easy-pour glass decante is clearly marked to take the guess work out of how much water to use. Espresso scoop included to serve the perfect amount every time. Permanent filter basket is equipped with a saftey clip for easy operation. Simply detach when done brewing for easy clean up. Removeable drip tray and wand cover make clean up a breeze.